One phrase that keeps popping up at the moment is ‘unintended consequences’. Brexit has them, the Trump presidency is full of them, and then there is YouTube. At a time when the appetite for internet advertising is overwhelming (Publicis Group’s Zenith expects digital to account for almost 40% of total global ad spend in 2017), running around YouTube videos seems to be getting extremely dangerous. With an astonishing 400 hours of videos uploaded onto YouTube every single minute, advertisers are keen to buy into the site’s scale and reach – unless, that is, their latest ad pops up against a video recruiting jihadi terrorists or one full of racist material. Until last week, YouTube didn’t think it was its responsibility to do much about that. “What we’ve found is that it’s been a handful of [ad] impressions, and pennies not pounds,” Google head of Europe Matt Brittin told an Ad Week Europe gathering last week. What had been billed as a cosy little chat with Unilever chief marketing officer Keith Weed, entitled ‘Building Brands In AnAttention Economy’, turned into a slugfest between Brittin and the media in the audience – and rightly so. 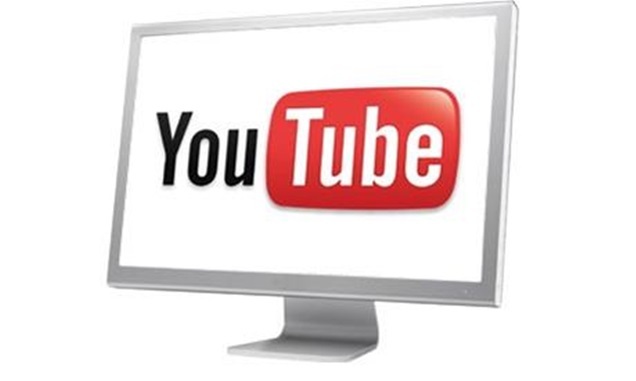 YouTube’s seeming disdain may not have been intended, but it has had big consequences: Tesco, Audi, Marks & Spencer, Argos, RBS and the UK government are among those that have pulled their advertising in protest at YouTube’s inability or refusal to act. When these brands find themselves next to unacceptable content, making them in effect a funder of terrorism and racism, Google’s response is as arrogant as it is inadequate. Michael Roth, chief executive of Interpublic, one of the world’s biggest ad groups, told the conference that if Google fails to “fi x” this, it will “suffer economically”. US advertisers soon joined the exodus. Google has quickly published a plan of action that includes widening its definition of ‘unacceptable’ videos and employing actual people to watch over the content, not just an investment in more technology. Will this be enough? Advertisers are demanding third-party verification of where their ads end up and are determined to avoid paying Google a premium for the privilege. Content regulations for TV prevent the broadcast of hateful material that may be unacceptable or unlawful, and now the masters of the web are finding out big time how this affects them. In a world where algorithms seem to be running more and more decisions within the media world, the likes of YouTube, Facebook, Snapchat and Twitter must accept that hosting content makes them media companies, not just tech platforms without the responsibilities of publishers. Technology adds great value but taking humans fully out of the decision-making process hasn’t worked. With the rise of ‘fake news’, establishing trust with consumers and citizens is more important than ever. ITV and Channel 4, too, have taken their display ad spend away from YouTube, and Sky and BT are weighing up doing the same. All of these broadcasters may also be able to capitalise on the concern over brand safety on sites like YouTube. TV is a safe space for advertisers: brands can pick the date, place and time of every pound or dollar they spend, and there is value in that trust agreement. C4 has released details of how ads on its VoD service All4 are cheaper and more effective than anything on YouTube or Facebook, plus how TV allows more control, and therefore less fraud. As we move into another couldn’t-make-it-up news week, the next unintended consequence is likely just around the corner. What will it be? Well, just for a change, don’t look for the answer on a YouTube video.